Tecnomar was founded on Capri in 1999 by the young Ciro Gargiulo, who decided to invest his many years of nautical experience in the creation of a company offering assistance, maintenance and mooring facilities to islanders and visitors alike. In no time at all his Tecnomar Boat Service has become an important local business offering a highly professional service which guarantees customers a safe and worry-free sail. 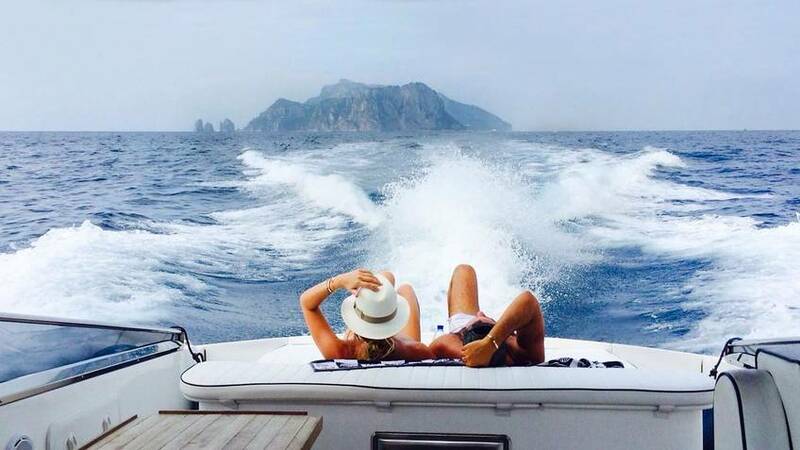 If you want to savor the beauty of Capri with the utmost in safety standards and under the guide of experienced skippers who know every corner of the coast, then choose Tecnomar Boat Tour. With daytime and sunset sails, you'll love the comfort and security of our boats, all of which include a padded sundeck, an awning for shade, and a freshwater shower on board to cool down and rinse the salt water off after a dip in the sea. Your day on the Mediterranean is guaranteed to be unforgettable! Do you prefer a traditional gozzo fishing boat or the thrill of a powerful speedboat which can take you as far as the Amalfi Coast? With Tecnomar Boat Tour, ou can choose the perfect craft for your taste and travel style! Tecnomar Boat Service, known for its unmatched quality and experience, also offers assistance and docking services in the Bays of Naples and Salerno, in addition to sea rescue, mechanical and electrical assistance, carpentry, and boat retrieval. Assistance is available to radar controlled vessels in the waters off the Island of Capri.